The race to launch flying taxis hotted up over the weekend, as Rolls-Royce revealed its interest in designing one. Fun fact: it’s not the luxury car brand from the UK that you’re thinking of. It’s actually the parent company that shares the same name that made the announcement. Besides owning a car brand, it also builds aviation engines. Rolls-Royce unveiled its concept for the Farnborough International Airshow 2018, yesterday. 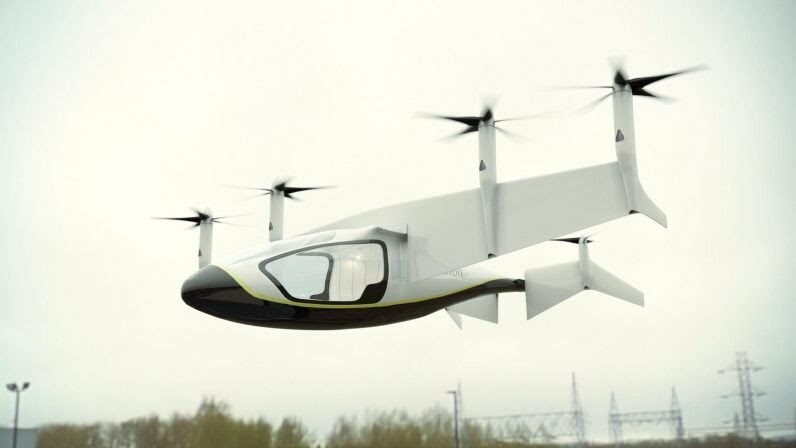 It reported plans for an “electric vertical take-off and landing” (EVTOL) vehicle, that could carry four to five people at speeds of about 400 kph for distances of about 800 km. The EVTOL is built with Rolls-Royce’s successful M250 gas-engine. The concept vehicle used the turbines to generate electricity for six electric propulsors. This meant that, in its current design, the vehicle would not require recharging, as the batteries would be powered by the M250 turbines. Over 31,000 M250 engines have been delivered since its first version entered service more than 50 years ago. At present, it is estimated that there about 16,000 engines are still in use. The engines also have a very successful track record of powering more than 170 different helicopters, which have together clocked more than 220 million flying hours. Meanwhile, there are a bunch of other companies to keep an eye on in this space: Airbus and Audiare developing a flying taxi together, Uber is building a flying taxi hub in Paris, and Google co-founder Larry Page’s Kitty Hawk firm is working on flying cars. But as a proven propulsion engine manufacturer, Rolls-Royce might have an edge over its competitors in the race to take off with flying cars first.